Your source for free AWS CloudFormation templates. Bootstrap high-quality AWS infrastructure within minutes. Rely on high-quality infrastructure templates: peer-reviewed by an expert (certified AWS solutions architect Professional) and verified with automated tests. Premium Support available: Get help in case of small and big emergencies and submit a feature request. CloudFormation turns a template (JSON or YAML) into a stack like the following figure shows. You can apply updates to an existing stack with an updated template. CloudFormation will figure out what needs to be changed. 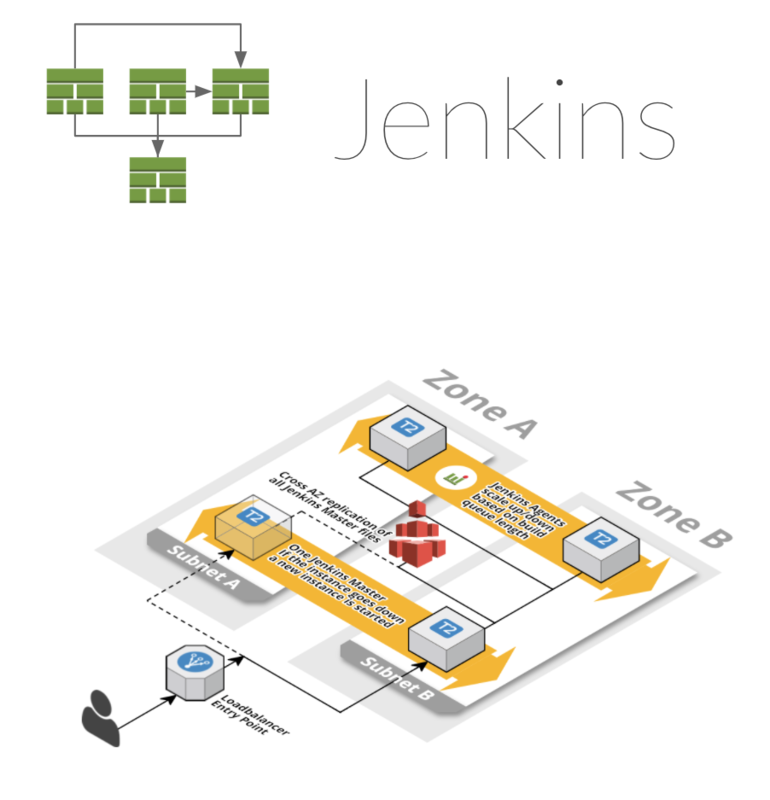 Imagine you want to set up a Jenkins automation server. This project uses templates as modules to reuse infrastructure components. Some are optional, while others are required. The following figure shows templates that are needed to set up Jenkins. If you create a stack, you sometimes have to supply parameters that start with Parent. That's the mechanism to pass dependent stacks into a stack. Let's look at the first dependency. 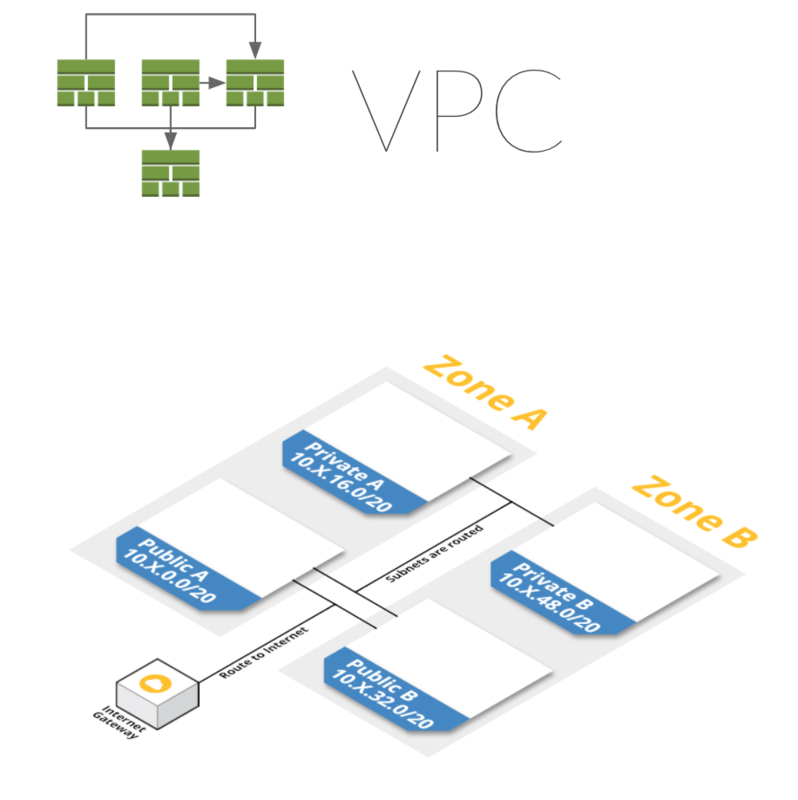 Many templates depend on a VPC stack. The VPC is a required dependency. 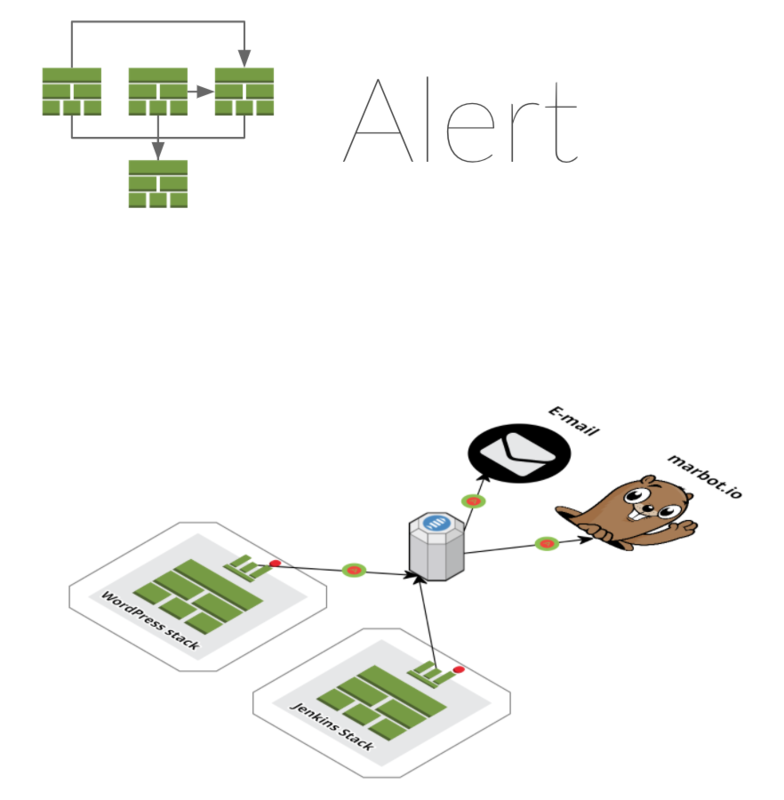 If you want to receive alerts when things go wrong, you can optionally supply an alert stack. I highly recommend using an alert stack. Otherwise, you will not know when things go wrong (and they will!). If you want to add some extra security, you can use an SSH bastion host. 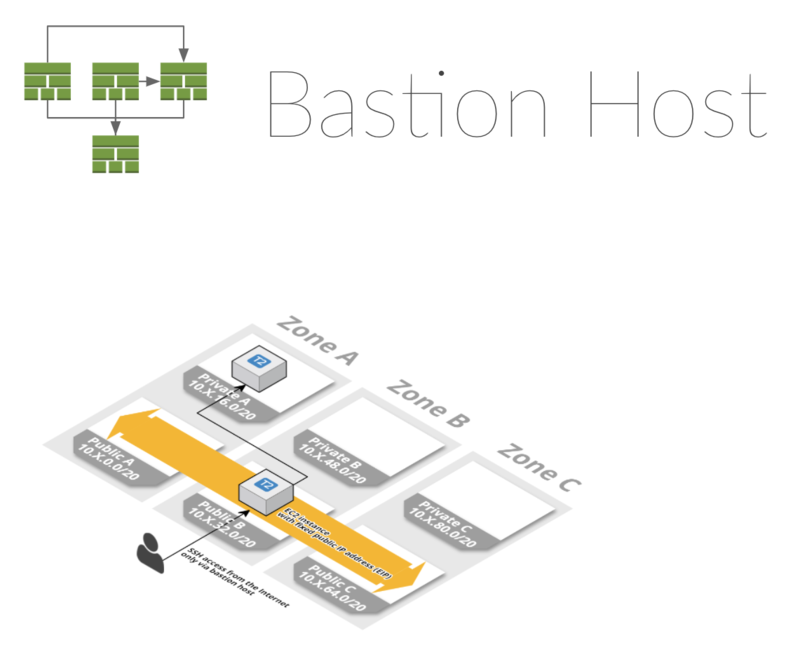 The bastion host has a optional dependency on the alert stack. 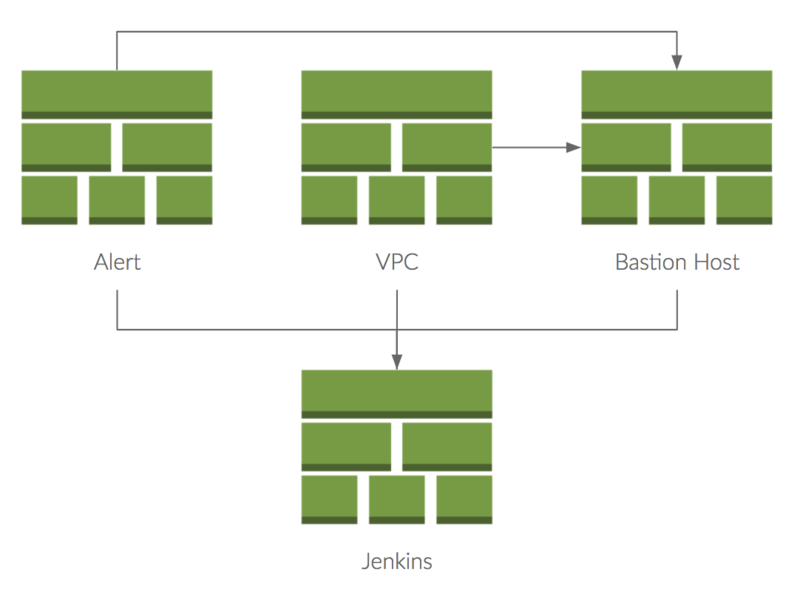 So if you want to receive alerts if your bastion hosts is in trouble, supply an alert stack. Finally, you can create the Jenkins stack. The cool thing is that you can re-use the dependencies. E.g., you can use the same SSH bastion host for Jenkins and WordPress. You will probably find an answer to your question on Stack Overflow. If not, use the tag amazon-cloudformation to post your question, and the chances are high that we or someone from the community will point you in the right direction. We are not able to answer your questions via email or the project's issue tracker. Are you in need of a feature or does a bug cause you sleepless nights? Please let us know by using the project's issue tracker. We work on bug fixes and new features as time permits. Are you in need of an urgent bug fix or important feature request? Contact us to sponsor a feature or bug fix. Do you want to accelerate your start with AWS CloudFormation and our templates? We do offer remote and on-site training for you and your team. Are you looking for guidance on how to use or adapt our templates to your use case? We offer consulting services as well. Contact us, and we’ll accelerate your project.